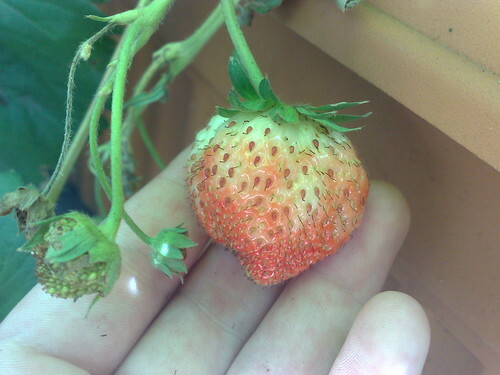 These are my first attempt at strawberries, growing in a long self-watering windowbox-style trough. 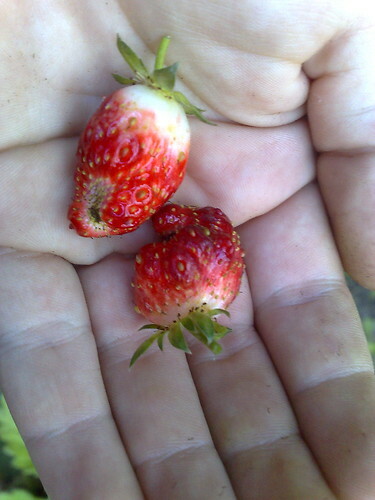 They’re thinnings from someone else’s strawberry patch and while they seem to have recovered from the shock of transplanting, I doubt I’ll see any strawberries on them this year. 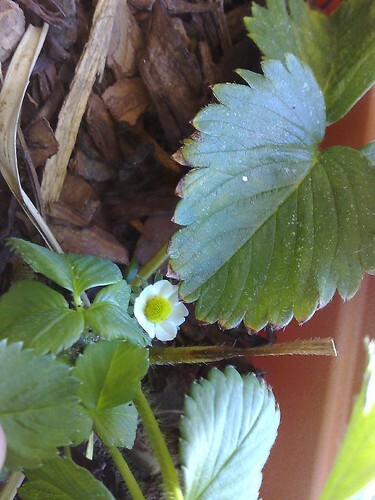 I’m planning on planting strawberries in the spring so I’ll be following your experience closely! I’m halfway thinking I’ll cheat & go get some nursery-raised plants anyway, before it’s too late- I just baulk at paying $3 per plant when it takes 10 or more plants to get a harvest! That’s one big investment for plants that only live a few years.